Edith Mary Ellis Peters Pargeter (aka Ellis Peters) was born 28th September 1913 at Horsehay, Shropshire, England and lived there all her life. Her father was a clerk at a local ironworks. 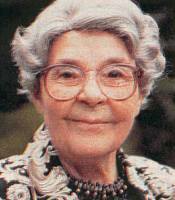 Edith attended Dawley Church of England School and the Coalbrookdale High School for Girls. Through her mother, she grew to love the history and countryside of Shropshire. Coalbrookdale is a village at the centre of the ironworking district in Shropshire and often said to be the birthplace of the Industrial Revolution. Coalbrookdale lies on the B4373, 5 miles South of Wellington - West of Birmingham. 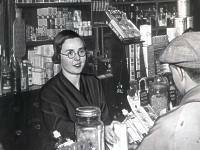 Between 1933 and 1940 she worked as a chemist’s assistant at Dawley. During this time she started writing seriously for publication while gathering useful information on medicines that she would draw upon later when tackling crime stories. Her first published novel was “Hortensius, friend of Nero” (1936), a rather dry tale of martyrdom that was not a great success. Then came “Iron-Bound” and “The City Lies Foursquare” (1939), which was muchmore warmly received. During the war she worked in an administrative role with the Women's Royal Navy Service in Liverpool, a relatively brief period away from Shropshire, and for her devotion to duty she received the British Empire Medal in 1944. Many more novels appeared at this time, including “Ordinary People” (1941) and “She Goes to War” (1942), the latter based on her own wartime experiences. “The Eighth Champion of Christendom” appeared in 1945 and from now on she was able to devote all her time to writing. It was not until 1951 that she tackled a mystery story with “Fallen Into the Pit”, the first appearance of sergeant George Felse as the investigating police officer. 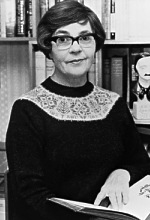 Various novels separated her first mystery novel from the second in 1959, “The Mask of Death”, that she published under the pseudonym of Ellis Peters. The honour arrived with her fourth novel, “Death and the Joyful Woman” that received the Edgar Allan Poe award by Mystery Writers of America for the best novel. She wrote twelve more novels featuring the sergeant Felse and his son Dominic. Her other great character, and the one for which the author will continue to be known the world over, Brother Cadfael, was to follow many years later. The first appearance of this monk at Shrewsbury Abbey was in “A Morbid Taste for Bones” (1977) and he mixed his herbs and unravelled mysteries in this atmospheric setting for a further nineteen novels. This kept the author very busy for the remaining 18 years of her life, to the virtual exclusion of all other. She was particularly proud of her “Heaven Tree Trilogy”, which appeared between 1961 and 1963, which had as a backdrop the English Welsh borderlands in the twelfth century. 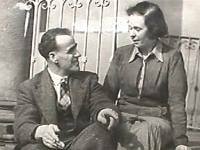 The name “Ellis Peters” was adopted by Edith Pargeter to clearly mark a division between her mystery stories and her other work. Her brother was Ellis and Petra was a friend from Czechoslovakia. A frequent visitor to the country, Edith Pargeter had begun her association and deep interest in their culture after meeting Czechoslovakian soldiers during the war. This was to lead to her learning the language translating several books into English. She won awards for her writing from both the British Crime Writers Association and the Mystery Writers of America. She was also awarded an OBE (Order of the British Empire), an honorary Masters Degree from Birmingham University and the Gold Medal of the Czechoslovak Society for Foreign Relations. There is a memorial to her in Shrewsbury Abbey. After her death in October 1995, The Times published a full obituary that declared that here was “a deeply sensitive and perceptive woman … an intensely private and modest person” whose writing was “direct, even a little stilted, matching a self-contained personality”.